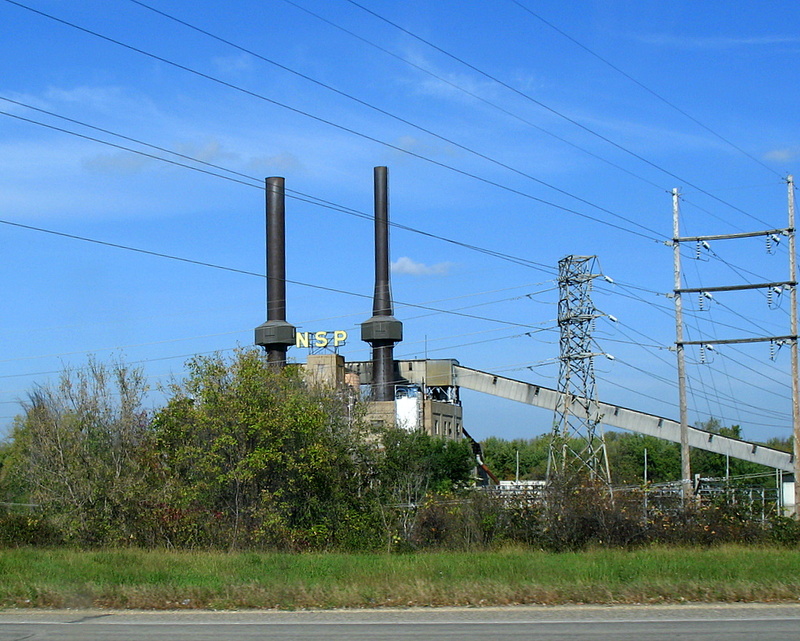 As you drive down Highway 61, just south of downtown Red Wing, you'll get a quick glimps of this power plant. It used to be run by NSP, Northern States Power company, but it has been bought out by Xcel Energy. While this plant has changed ownership, the original name is still in place. Compared to the other power plants in the Twin Cities, this one is unique in looks. It's the only one that I know of that has two steel smoke stacks instead of the very tall cement stacks that I'm used to seeing. I'm not sure what makes this one different from the others though. Thanks for making SD a favorite! This is an eye catching power plant. It reminded me of one we have here that has two distinguished looking stacks that look, like, ...well, they look like breasts.